One Beetle Two Beetle | Live. Love. Write. Share. 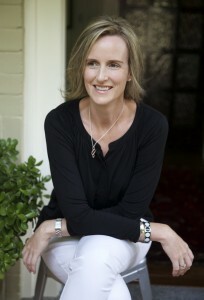 Audrey Molloy is an award-winning Irish poet based in Sydney. She was born in Dublin and grew up in the coastal village of Blackwater, County Wexford. She practiced optometry in Dublin before moving to Sydney, where she works as an optometrist, medical writer and content editor. Her poetry has been widely published, most recently (or soon to appear) in The North, Magma, Southword, The Moth, The Irish Times, Meanjin, Poethead, Rascal, Australian Poetry Anthology, Ropes, Rabbit, Overland, Crannog, F(r)iction, Southerly, Orbis, Ink Sweat & Tears, Cordite, Popshot, Headstuff, Banshee, Shot Glass, Ofi Press, Boyne Berries, The Galway Review, The Grieve Project, Red Room Poetry’s New Shoots Anthology, Skylight 47 and The Tangerine. Audrey received the Hennessy Award for Emerging Poetry 2019. She was selected for the Poetry Ireland Introductions Series 2019. Her work was nominated for the Forward Prize for Best Single Poem in 2018 and she is one of Eyewear Publishing’s Best New British and Irish P oets 2018. She is currently nominated for the Pushcart Prize. In 2017 and 2018 she received special commendation for the Patrick Kavanagh Poetry Award. She was joint runner-up in the Moth Poetry Prize 2017 and has been shortlisted for several other awards. Follow Audrey on Facebook for latest poetry news. When is a poem finished? Mary Heneghan Cardoen on When is a poem finished?